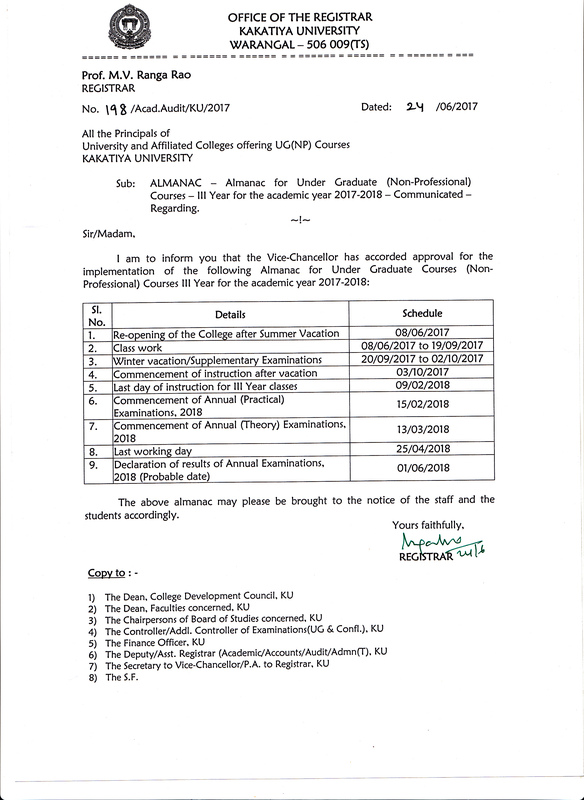 AFFILIATED COLLEGES - Quality Mandate in Higher Education Institutions by 2020 - NAAC accreditation for the affiliated institution by 2022 - Meeting with the Managements on 09/11/2018. 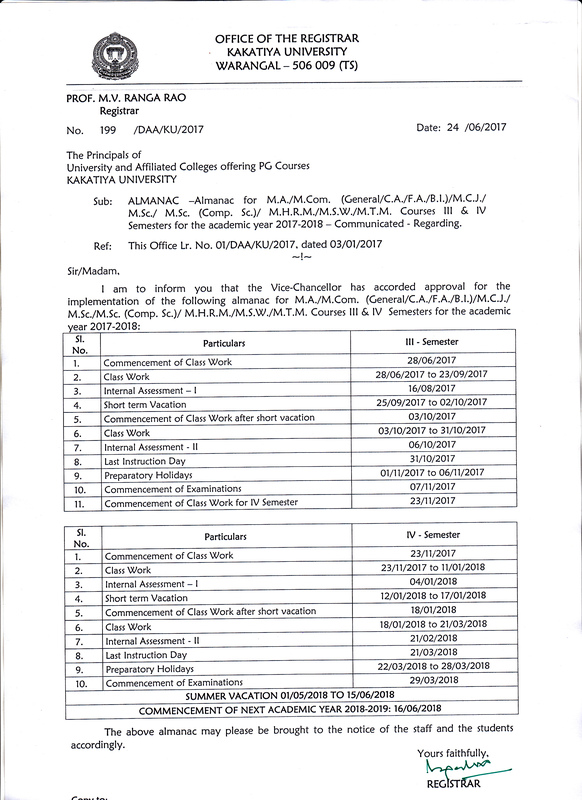 Almanac for B.Tech, II, III & IV years I & II Semester for the academic year 2017-2018. 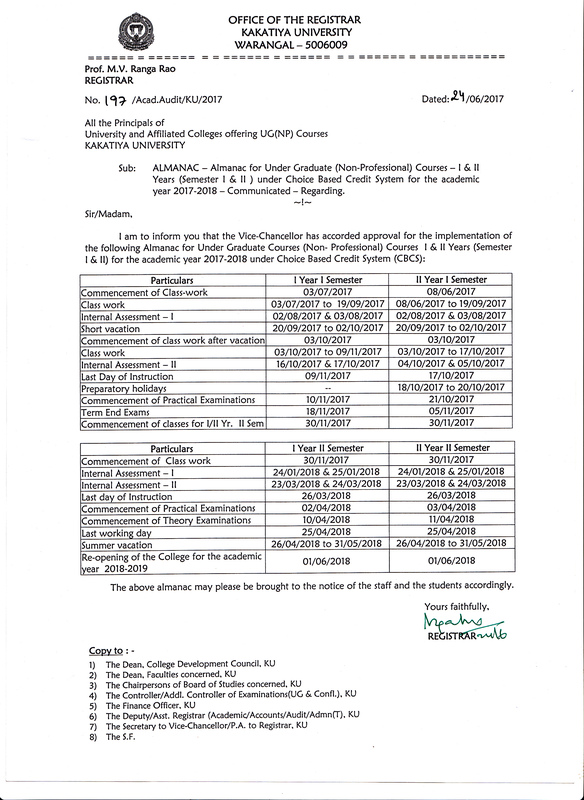 Almanac for UG (NP) - II Year Courses - 2017-2018 Re-opening of the Colleges for UG (NP) - II Year courses on 08/06/2017 instead of 01/06/2017. Revised Almanac for B.Tech, II, III & IV years II Semesters for the academic year 2016-2017. Almanac for B.P.E.d course for the academic year 2015-2016. Almanac of Pharm. 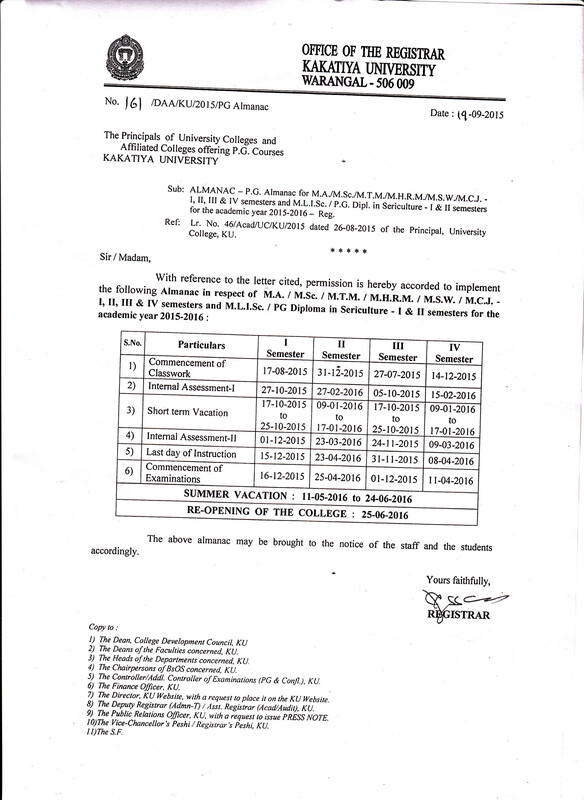 D. I, II, III, IV, & V, Years for the academic year 2015-16. P.G. Almanac for M.A./M.Sc./M.T.M/M.H.R.M/M.S.W/M.C.J/M.L.I.Sc/P.G. Dipl. in Sericulture for all semesters for the academic year 2015-16. 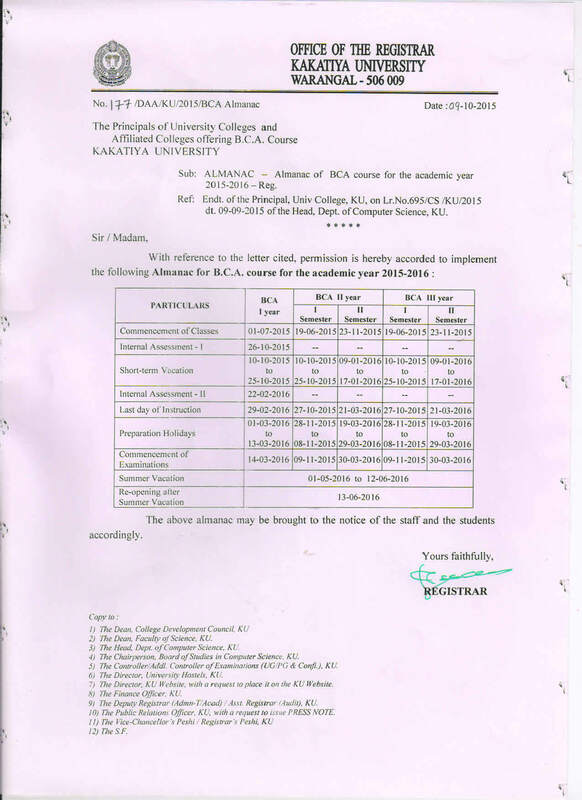 Almanac for M.B.A., I, II, III & IV Semesters for the academic year 2015-16. Almanacs B.Pharmacy IV year & II semesters for the academic year 2015-16. Almanacs of B.Pharmacy IV year I & II semesters for the academic year 2015 - 2016. Almanacs for LL.B. (3 - YDC) II Semester, LL.B. (5 - YDC) (SFC) II & VI semesters and LL.M. 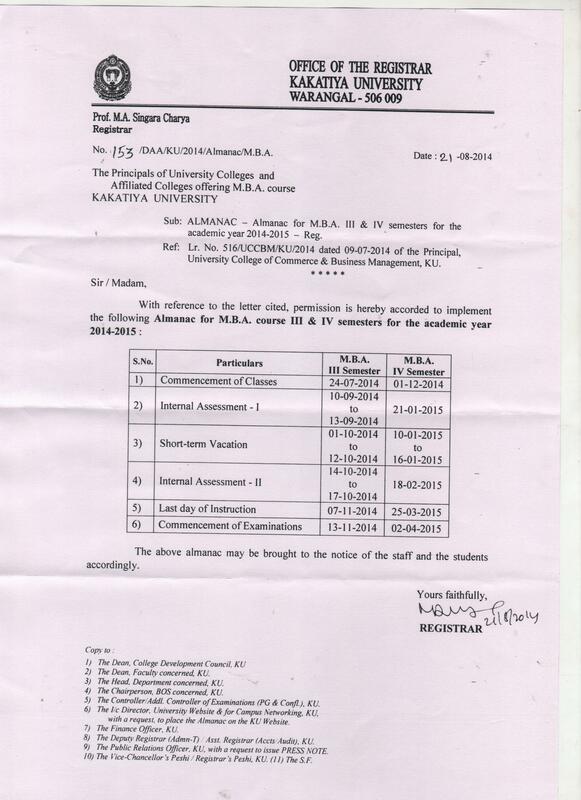 (Regular / HRL) II semester courses for the academic year 2014 - 2015.